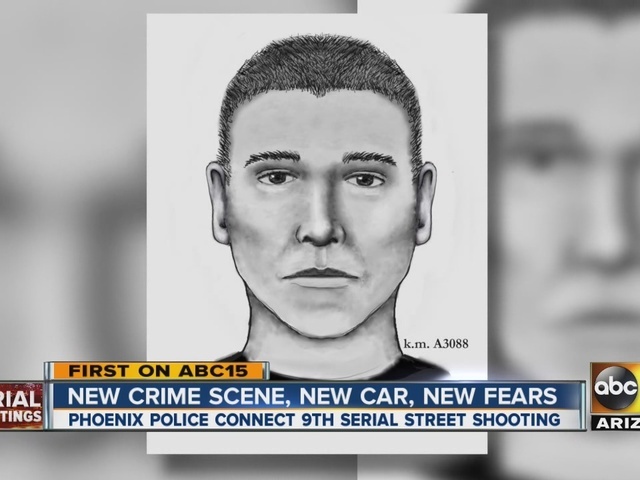 Phoenix police confirm the Phoenix serial shooter has struck again, bringing the total number of incidents up to nine since March. A man and 4-year-old boy were sitting inside a car on July 11 when the suspect fired at their car. The victims did not sustain any injuries, but called police to report the incident. According to Phoenix police, the suspect left in a dark-colored BMW, but the shooter is known to have access to multiple vehicles. Police said the suspect may also be driving a white Cadillac or a Lincoln-type vehicle. Take a look at the map below to see each of the serial shootings so far. As a result of this most recent shooting, the reward to catch the serial shooter has been raised from $30,000 to $50,000. The FBI has added $20,000 to the reward amount. 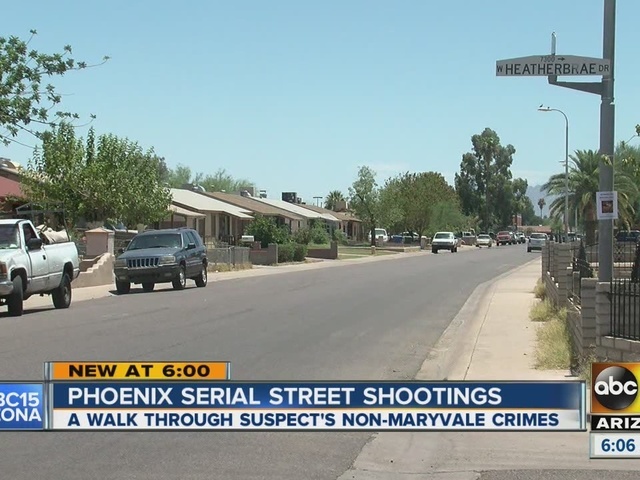 Six of the nine shootings have occurred in the Maryvale area of Phoenix. The three other shootings, including the most recent incident, have occurred either in the downtown area or north of Sky Harbor Airport. 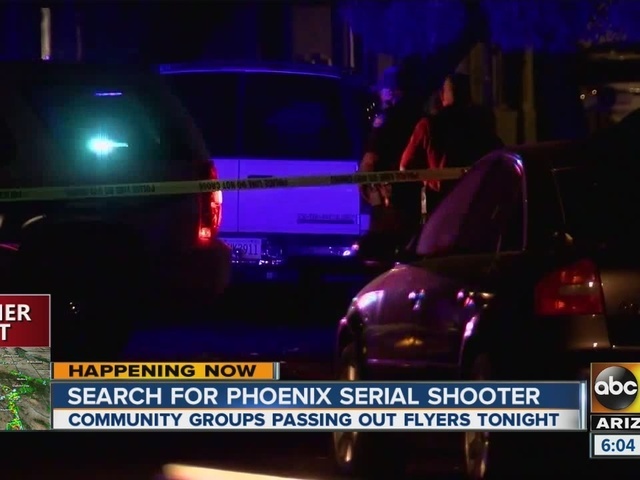 The Phoenix serial shooter has been targeting victims since March . His first victim, a 16-year-old boy, survived. Nine people have been shot, seven of them have died. A solid description of the suspect is not known at this time. However, two separate witnesses in the case were able to provide police with an idea of his appearance. 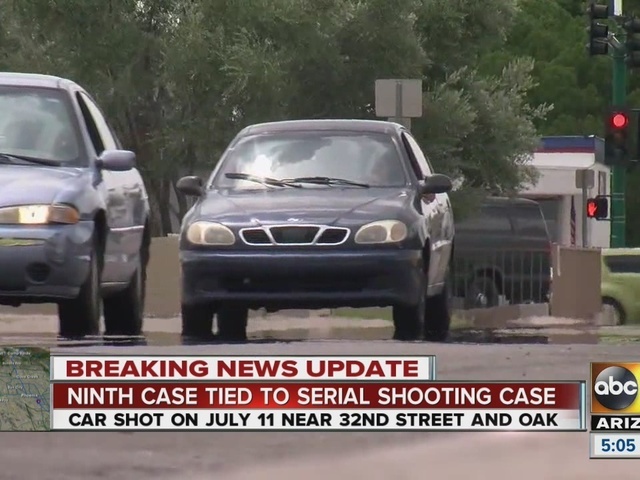 Differing descriptions of the suspect’s vehicle have been provided by witnesses, with some reporting a light-colored sedan and others describing a dark-colored sedan. “Someone out there knows who did this. 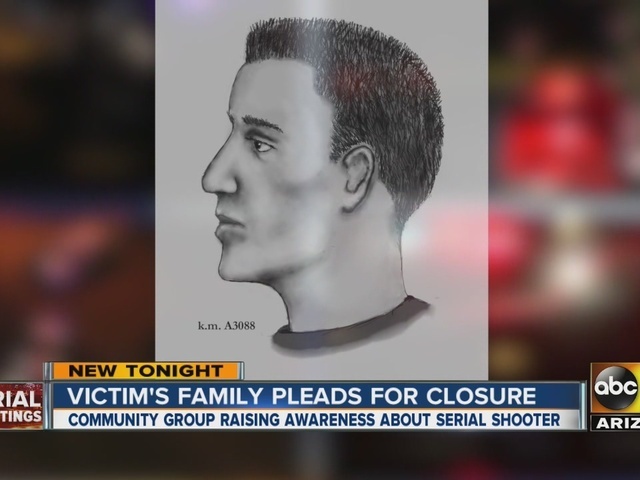 We need our community to call us or Silent Witness and help us solve these cases, bring justice to these families and victims, and prevent more violence from occurring,” said Phoenix Police Chief Joseph Yahner. 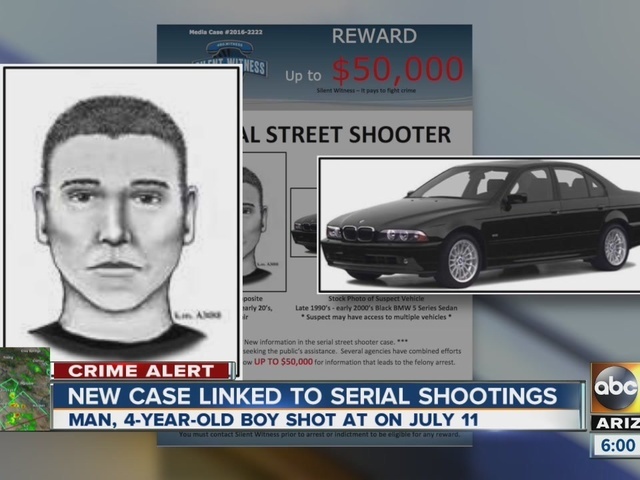 If you have any information regarding the serial shooter call Phoenix police at 602-261-6141 or Silent Witness at 480-WITNESS. Take a look at the timeline below to see each of the significant events regarding the serial shootings.